Chino Moreno of The Deftones performs in Auckland, New Zealand, in 2014. The name of the eighth album by the Sacramento metalgaze band Deftones implies ugliness brought up from buried depths, and “Gore” offers the opposite of a light touch; guitars grind against each other, drums bash in the distance, and frontman Chino Moreno’s voice weaves through the chaos, yelping or crooning depending on the mood. But for every moment where the listener is reminded that Deftones are, frequently and not entirely unfairly, grouped with various strains of muck-plumbing metal — the galloping drums and abstracted thrashing of “Geometric Headdress,” the liquid-mercury riff that propels “Pittura Infamante” — there’s an opposite reaction, a sparkling guitar melody or a vocal that soars toward a night sky’s faintest stars. Take “Acid Hologram,” the album’s second song. Opening with bludgeoning guitars and Moreno crooning about “the haze of your life,” it blossoms quickly, with harmonies bolstering Moreno’s lead vocal. That choir eventually billows into a menacing growl as the guitars shape-shift — and this push-pull continues until feedback bubbles up, clearing the path for the song’s opening to assert itself once again. It’s a heady trip, one that only makes sense because of Deftones’ innate sense of timing and precisely aimed musicianship. Deftones have had a lengthy career that hasn’t been without tragedy; the band formed in 1988, and longtime member Chi Cheng died in 2013, five years after a car accident that resulted in a brain injury. The exacting precision of “Gore” makes it sound like a burrowing: a deep dive into noise, with Moreno’s impassioned vocals bringing the beauty of its details into sharp relief. The title track’s chugging low end is pulled upward by Moreno’s voice, drenched in enough echo to make it sound like he’s shouting into a thousand megaphones; the triumphant riff of “Xenon” is counterbalanced by Moreno’s growl. “Gore” brings together light and dark, airy and grinding, in a way that makes these seemingly disparate qualities seem like natural allies. 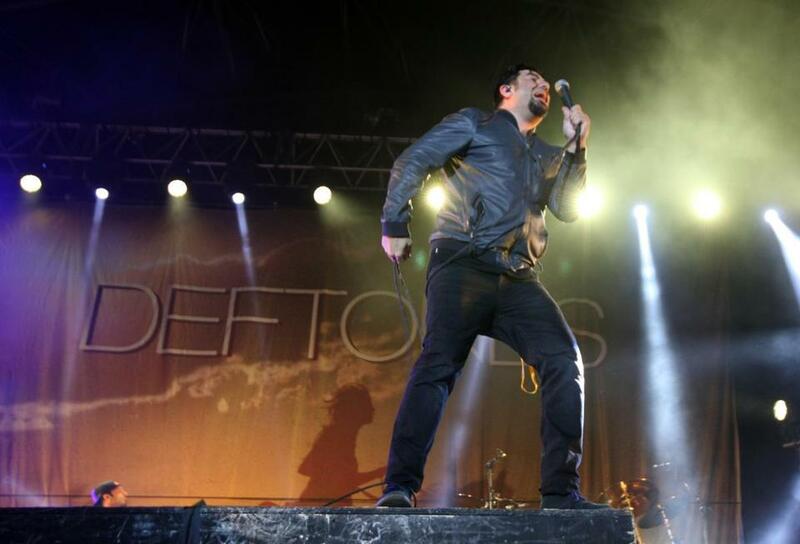 Deftones perform at Blue Hills Bank Pavilion Aug. 9.